I would like to explain why the reviews have been mixed before getting to what I feel is the biggest thing that we should all take away from this but I wouldn’t blame if you wanted to skip straight to it either. Many people in the autism community see this as a purely positive thing. 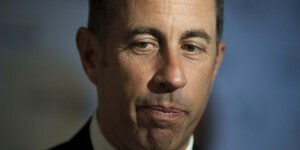 Jerry Seinfeld is well loved and regarded as a very successful comedian. In many ways this reinforces their notion that ‘if he can do it, anyone can’ or in other words, there’s still hope for themselves or their children. Also, a lot of people like to use “you’re so autistic” or some variation as a form of insult but these same people love Seinfeld. So, if a comedian they really like turns out to be autistic himself, is it still the insult that they thought it was? For most though, it simply is a +1 in the awareness and even acceptance column. Along with others such as Darryl Hannah, Dan Aykroyd, Susan Boyle and others, autism is getting the sort of attention that people only dreamed of as little as 10 years ago. I think most people would agree that to this day, no one really has any clue what autism even is unless it directly affects them such as having an autistic family member or having autism themself. For a long time, the only time autism seemed to be in the media was when it depicted children hurting themselves or having a meltdown or being institutionalized. This was the public perception, or at least, the way it seemed to be for a lot of people. So the more successful people can come forth and say that they struggled but became successful anyway, the more the public will begin to see that it’s not always something to be ashamed of or afraid of. When Jerry Seinfeld made the statement that he felt that it wasn’t a dysfunction but rather a different mind set, many people felt that he outright dismissed and mislead the pubic as to just how much of a dysfunction autism can really be. Even though the news stories aren’t all about children hurting themselves anymore, that is still very much the reality for many people and people like Jerry Seinfeld coming forward after being successful and making people think it’s glorious will not only diminish their struggles but make people forget about them. Making a self diagnosis like he did takes away from the reality of the whole diagnosis. Children that need constant medication, supervision and support require a lot of funding and awareness but to have public figures just going around and self diagnosing themselves gives everyone the idea that they can do the same. Now anyone that’s a little shy or has trouble making friends will just go diagnosing themselves and spreading all kinds of inaccurate or even outright false information. There are a lot of disorders and disabilities and doctors spend many many years learning about them all to ensure that they don’t make any mistakes and yet they still do so for someone to just up and say they have a disorder is a slap in the face to those doctors and is also a very big leap of faith since in all likelihood, they could be right that they have a disorder but entirely wrong on which disorder they have… or they may have no disorder at all and are just introverted or something. The one thing that you really have to take from all of this is that he’s not talking about you. He’s not talking about you, your child, your situation, your experience or anything else to do with you… he’s talking about Jerry Seinfeld and only Jerry Seinfeld. When he speaks about his mind set, his struggles and how he doesn’t view what he’s gone through as a dysfunction, he describes his experience. He describes what autism is as it relates to Jerry Seinfeld. In our ever so strong desires to have our own story told, have we gone so far as to deny others their story if it doesn’t represent or even contradicts our own? In turn, shouldn’t our own stories then be denied as well when someone else finds that it doesn’t mesh with their own? How can any of us ever feel safe to share our stories and experiences and raise awareness in our own way if there is always going to be those out there that hate us for not representing them? Speaking of feeling safe, is it any wonder that people are afraid to get a diagnosis? or speak out about autism? or say anything!?!? Is this really how we treat someone when they come to feel that they themselves are on the spectrum?? Is this what you want for your children?? To be attacked by half of the community that they suddenly find themselves to be a part of only because they are sharing who they are?? To be scared into silence? For all we know, he could be wrong. He’s not a professional in health nor does it seem that he’s consulted with one, but of all the people that I’ve known to self diagnose themselves, not a single one of them did it because it would be funny or a cool thing to do. They do it after a lot of self reflection, a lot of deep soul searching and a lot of forethought. It’s not an easy thing to come to terms with and an even more difficult thing to share with others. But isn’t a self diagnosis pretty much how the majority of official diagnoses ever come to be? That is, don’t we need to see the signs in our children or in ourselves in order to seek out an assessment? Yes, there are times when someone suggests it or our doctor catches it but the majority of people I talk to, people make that determination on their own, even if not entirely sure. It’s why we raise awareness! So that people can do that. If my own son goes on to do well and become famous enough, I’d hate for him to be afraid to mention that he has autism because of how polarizing or hateful people within the autism community can apparently be. For one, I’d like to think that he’d be strong enough to deal with that anyway but more so, I’d hope that the autism community could move beyond things like this and accept that a person can speak of themselves and their experiences without judgement or attacks. No, Jerry Seinfeld didn’t diminish autism or the public’s perception of it… he shared something personal, about him. That’s totally within his rights to do. I can respect your point but I honestly hold self-diagnosis as the height of arrogance, unless you follow it up with talking to an expert then it’s so much hot air as there’s no way you can be unbiased in your assessment of yourself and most won’t have the reserves of knowledge that an expert would. I have Asperger’s, my parent’s had never heard of any form of autism, heck back in 2001 I’m not sure if Asperger’s was even counted as an ASD, and had to fight every step of the way to get me support. in my time I’ve met plenty of people with Asperger’s and our experiences have been so different there’s no way we’d have expected to be under the same banner, so I’ll stick with the official diagnosis because right now this feels like an attention grab. Good point about self-diagnosing, Stuart. Almost all of us have some Autistic traits. That doesn’t mean we’re all on the spectrum. For many who are, and are high-functioning, though, thinking of themselves as having a different mindset — or a different way of processing the world around them — is certainly more healthy than considering it a disability. In my opinion, at least. I agree 100%. With all the negative publicity and views about autism in the media for the last 10+ years, I have yet to meet someone who wants to self-diagnose themselves as autistic without having done some very major research, soul searching and everything else. Jerry does NOT need the publicity, he’s doing just fine without adding this to it. I was first self-diagnosed before being officially diagnosed. I read full books on autism, countless articles and research papers. What led to my diagnosis was my confusion over not being able to have conversations with people or why I couldn’t get a job after having the interview. Through finding out I have autism I’ve gotten a lot of self-knowledge and understanding about how different I am. Doctors barely helped me learn those things at all. I did however need to go on special services and they helped me out with all that. It’s hard for me understand people who have so mild symptoms it may be difficult for them to be diagnosed at all but all I know is how much it helped me, even emotionally, and I can only assume they’re feeling the same things too. When people can’t tell you have autism but you still appear different they will do anything from excluding you, mocking you or targeting you for bullying. And when you realise you made another social blunder you feel embarrassed and frustrated, which can lead to depression or social anxiety. Sometimes both. You don’t have to be severely disabled to go through hard times. So, I’m fine with Jerry Seinfeld saying he might have autism.